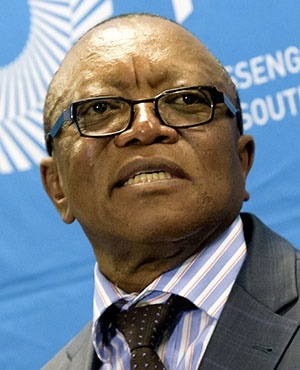 Transnet board chairperson Popo Molefe has warned that a "long list" of employees could be suspended or find themselves facing criminal charges, with the possibility of recouping funds looted from the firm. "We are certainly going after more people," said Molefe, after a meeting with Parliament’s standing committee on public accounts (Scopa). This week, three Transnet executives, including CEO Siyabonga Gama, were served with suspension notices following investigations that revealed possible misconduct. "That was just a beginning - the list is long. Some people have left the company, but we will be pursuing them and possibly lay charges if it is found that there was criminal intent," said Molefe. what he called "flagrant disregard by management for their responsibility to the company". "There is also a level of intimidation of the staff. It is very scary. "That kind of environment allows for rampant corruption and pilfering," he added. The Scopa hearing - meant to determine the depth of financial mismanagement at the company - detailed cases of high level financial mismanagement, disregard for procurement process and questionable deviation from the tender processes used to loot the organisation. The hearing comes as Transnet is due to release its financial its financial statements on Monday, which will show that it obtained a qualified audit. The results also reveal that irregular and wasteful expenditure increased from R600m in 2016/17 to over R8.1bn in 2017/18. The notices of suspension for Gama; Thamsanqa Jiyane, who is Chief Advanced Manufacturing Officer; and Supply Chain Manager Lindiwe Mdetshe, came followed the release of reports by Werkmans Attorneys and MNS Attorneys, which probed issues of financial misconduct at Transnet. The misconduct relates to contraventions in terms of procurement, as well as the Constitution and other legislation including the Companies Act and the Public Finance Management Act (PFMA). The executives have been given up to Monday to justify why they shouldn’t be suspended. Gama was present at the Scopa hearing. During the meeting, Molefe complained that the new board was not getting the cooperation it needed from the management of Transnet when it came to rooting out corruption and mismanagement. "We are not getting the cooperation of management; they are deliberately acting like syndicates. They seem to have sworn each other to secrecy," he said, vowing that the board would get to the bottom of any financial mismanagement. Scopa Chairperson Themba Godi said qualified accounts present significant implications, as the company has large debts. "It is a breach of conditions to their lenders," he said. "It also presents a risk of a default, and when that happens, they will mostly likely seek a bailout, which is money that we do not have as a country," he said. Board member Dimakatso Matshoga told the meeting that the board had met with creditors to assure them that the company would be able to meet its loan obligations. Scopa members were also not satisfied with the decision by the state-owned entity to relocate its offices from the iconic Carlton Centre in downtown Johannesburg to new rented premises north of the city. The company said the move was meant to curb maintenance costs for the 50-storey building, which will undergo renovations for an estimated period of three years.